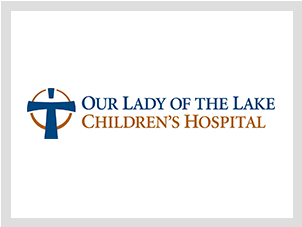 Our Lady of the Lake Children’s Hospital, located in Baton Rouge, Louisiana, treats hundreds of thousands of children from across Louisiana, Mississippi and Texas. Started with a simple mission over 100 years ago when a small group of religious sisters came to Louisiana to care for those most in need, this ministry has become a beacon of hope for children across the region who seek critical pediatric services not available in their own communities. The hospital relies on philanthropic support to sustain its mission to treat every child, regardless of ability to pay. For more information visit ololchildrens.org.